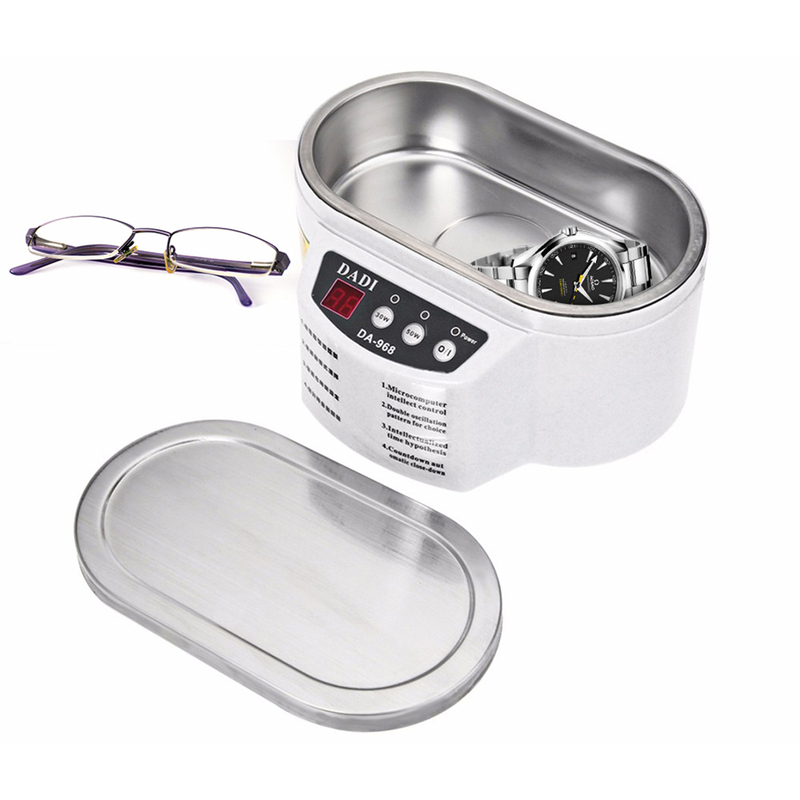 Successfully Added 600ML Ultrasonic Jewelry Glasses Cleaner Intelligent Control Cleaning Device to your Shopping Cart. Nondestructive ultrasonic cleaning, cause any damage to the cleaning objects. Advanced ultrasonic technology, removes dirt, dust, grease from the tiniest of places. 600ML capacity, mall and lightweight, easy to carry and convenient to operate. Suitable for cleaning jewelry, glasses, circuit boards, ornament, headwear, brooch, pen, CD, toothbrush, false teeth, milk bottle, fruit, clock, exact instruments etc. Applies to: Jewelry, glasses, jade, optical glasses, optical instruments and other items of cleaning.